Colby Dandenong provides a broad range of industrial shelving rack options which are space efficient and durable. Industrial steel shelving is one among the listings of storage solutions that are made highly tensile and economical. 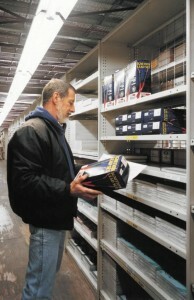 Colby’s Industrial Metal Shelving Solutions use light-duty frames with high quality. These structures are designed to save industrial space and help you cost less. We believe any light duty application can be stored efficiently by using our economical industrial duty shelving systems. The modular design for shelves units allows for maximum flexibility plus quick and easy adjustment. Shelf length can extend and the entire installation relocated with ease. 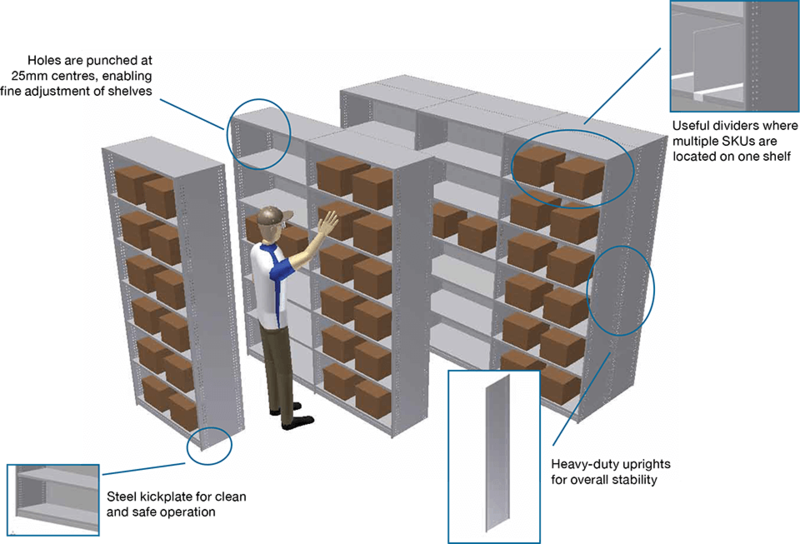 Steel shelving for warehouses is the most cost effective storage solution for slow-moving product storage. Besides designed with safety in mind, it’s versatile and easy to install. A wide range of bay sizes and a comprehensive choice of shelving accessories ensure there’s a solution for every necessity. Shelf dividers are used to separate multiple SKU’s. Kick plates ensure clean, safe operation and adjustable clips enable quick and easy shelf adjustment on a 25mm pitch. Standard uprights are sheet steel, but for low light situations, wire mesh can be specified. 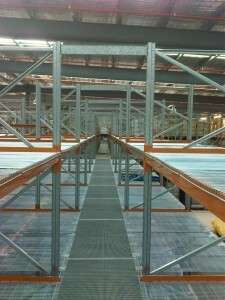 Why Choose Colby Dandenong's Steel Shelving Solutions? Easy to install, relocate and adjust. Steel shelving is the lowest cost and most frequently used storage solution for slow moving goods, parts and files.